The bustling industrial city of Nagoya can be reached from Europe by Finnair’s expanding network. The airline has been serving the city for more than 30 years, and is a well-established service for European ex-pats looking for convenient yet affordable flights. 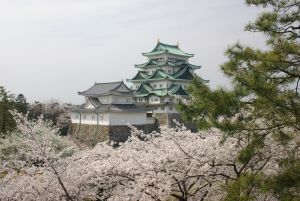 Nagoya is not known for its tourism although it does have its own collection of attributes including a fabulous restored Edo period (1600-1868) castle that contains a museum of its history through the decades. Set amongst the cherry trees during the sakura (cherry tree) season it offers an oasis away from the urban environment. Nagoya’s iconic twin towers indicate the location of the world’s largest railway station complex, with a footprint of over 410,000sq m of floor space. On any normal workday Nagoya Station can house up to 25,000 people across its offices, hotels, shops, restaurants, concourses and platforms, it’s a mini destination in itself. It is from here that pretty much most of Honshu, Japan’s main island, is accessible to visitors. Tokyo, Kyoto, Osaka are all within a Shinkansen (bullet train) ride away. More local destinations such as Takayama are efficiently served by the local JR Lines however and are much more appealing. 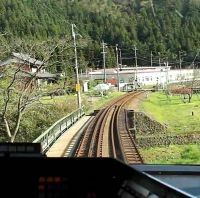 The Takayama train journey winds through the Japanese mountains adjacent to the Migayawa River in the Hida region of the Gifu prefecture. Sprawling forests submerged in low cloud hanging wistfully from the tree branches gradually replace the urban sprawl of coastal Japan. An occasional eagle can be seen soaring on the thermals as the train reaches higher elevation. Temperatures are notably cooler as the train arrives at Takyama Station in the south of the city. From here it is just a 10-minute walk to Sanmachi Suji, the wonderfully preserved historic district of Hida – Takayama. Someone has pressed the pause button. 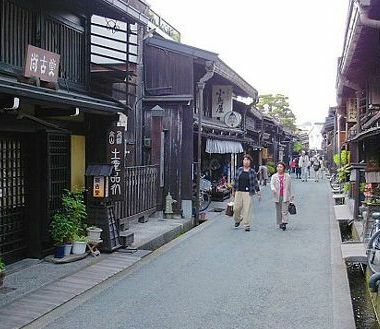 Streets of wooden merchants’ houses dating back to the Edo Period signify a bygone age of wealth and commerce. Signs indicate where the original district begins and ends, but the low level, dark wooden, slatted buildings need no introduction. The requests for no smoking indicate just how fragile the structures are, reflecting a bygone era of Shogun and Geisha. Maintaining tradition is important in Japanese culture and visitors are often treated to Japanese ladies dressed in their traditional outfit strolling under parasols. Equally for lovers of Sake, Japan’s traditional rice wine drink, the Sanmachi Suji district offers a heavenly stroll through sake production which has taken place here for centuries. There are at least five sake breweries, indicated by sugidama (balls made of cedar branches) hanging above the door. 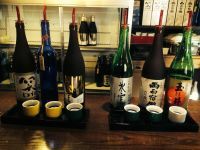 From the cloudy unfiltered rough sake, through to the highly polished rice, wine visitors can enjoy, and learn about the important heritage of sake making at any one of a number of producers. Settling in at the Kawashiri Shuzujou, Kawashiri Sake Brewery the demure host, the seventh generation of the family business, hands over a detailed description of sake production giving details of the changing face of Sake brewing through the ages. This fabulously simple document also indicates how to hold the small china sake cups, explaining the difference in the shapes of the vessels and how it affects the taste, and how ladies may find some flavours more preferable than others. I’m reminded of vineyard tours I’ve taken, simple ingredients combined with skill to produce the finest of wines. Similarly the sake is made of rice, water, yeast and the magic ingredient, a mould called Koji-Kin. Ultimately it is the quality of the rice and how well it is “polished” that will define the drink’s quality. Each brewery produces different types and after sampling a number of each the palette begins to make the same distinction as it may with differing wine grapes. Kawashiri produces Jukusei Koshu, Sake made from locally grown rice and aged several years before it is the equivalent of French appellation d'origine contrôlée (AOC) indicating its quality and heritage. It’s a revelation that the drink that is most often served hot in the west is in fact such a varied and complex product. After a morning exploring Sake a little food is required and running along the edge of the old town is the Migayawa River where the east bank hosts a daily market. Visitors can snack their way along the line trying a variety of tskuemono, pickles of red turnips, wild mountain vegetables, local fried chicken dishes in an array of accompanying sauces, and mitarashi dangos, rice flour dough balls soaked in soya sauce and grilled over charcoal. The traditional gyuman, steamed bun, which can be found on many a street corner is filled with the local Hida Beef which is minced and mixed with chopped vegetables. It’s a bit of a rib-sticker but very much needed on a cold wintery day. Takayama is a haven for food lovers. A stay at the Takayama Kanko Hotel reflects true Japanese traditional style of a Ryokan (Japanese inn). Don’t be fooled by the somewhat seemingly dated décor. The welcome is as warm as the Onsen, hot baths, in which guests can bathe. There are a number of in-door and outdoor baths to choose from, all segregated by gender, apart from the private family baths which can be reserved ahead of time. The roof top bath overlooks the snowcapped Mount Norikura and provides a great view of the sunset. This is the opportunity to submerge yourself in Japanese culture. The rooms are laid out in traditional tatami matting formation with sliding paper doors separating the balcony, sitting and sleeping areas. Guests are invited to shed western apparel and take on Japanese style with the hotel providing Yukata (summer robe), Hanten (warm short jackets worn over the top of the Yukata) and slippers. Visitors swiftly move from feeling slightly awkward into comfortable mode and easily relax into Japanese style. For all guests staying at the Ryokan the dinner is the highlight. A feast of Japanese delights eats up at least three hours of your life. Of the 16 dishes many were local to the Hida region including, strawberry liqueur, Hida Beef Sushi, firefly squid (sourced from Honshu’s coastline), Sashimi of Migayawa catfish, mini shabu shabu with Hida beef (a hot broth in which you cook the beef) Hida buckwheat noodles, and jellied apricot kernels. For once in her life this writer could not finish all her food and welcomed the rolled out typical Japanese futon on which to lay and digest the sights, tastes and joys of a short break in Takayama.